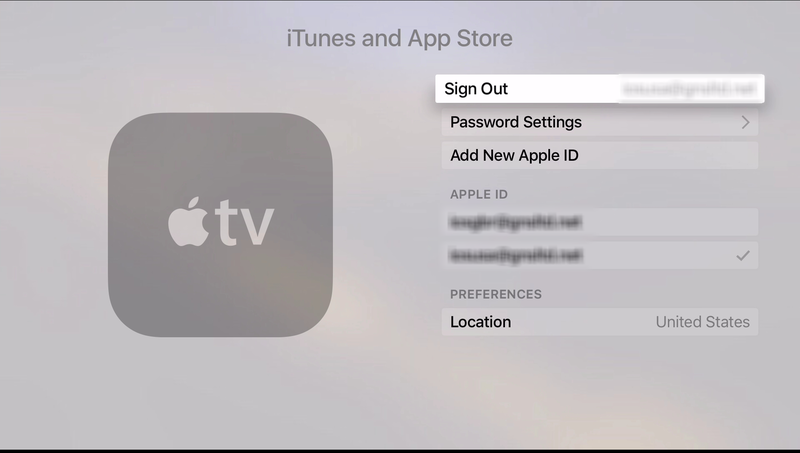 How to configure SimpleTelly on your Apple TV 4. The new Apple TV has went through a revamp in terms of how the TV contents are made available on the device, but fortunately, the steps to set up the DNS on the device remains the same as before. This article will guide you through the setup process on an Apple TV 4, ideally you will need to use a computer to register your IP on our network. 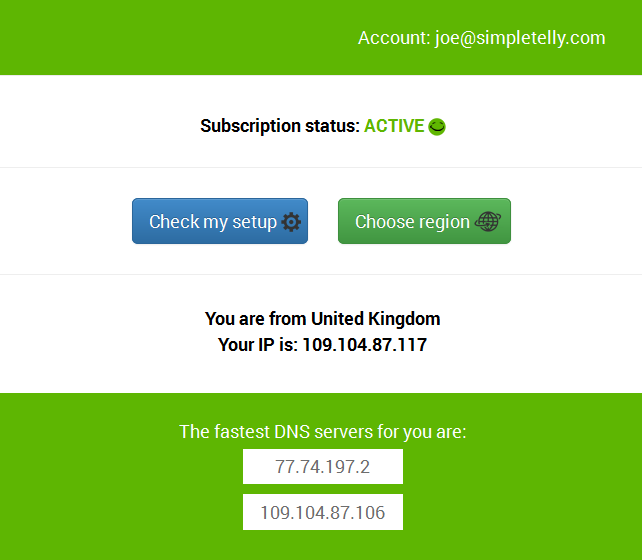 Login to our website, www.simpletelly.com from a computer on the same network as your Apple TV. If the registration is done from a computer browser rather than using the device's browser, you will get this error on screen. You can disregard this as the DNS is set up on the device and you just need to ensure that the Registered IP address is the same as your Public IP address. 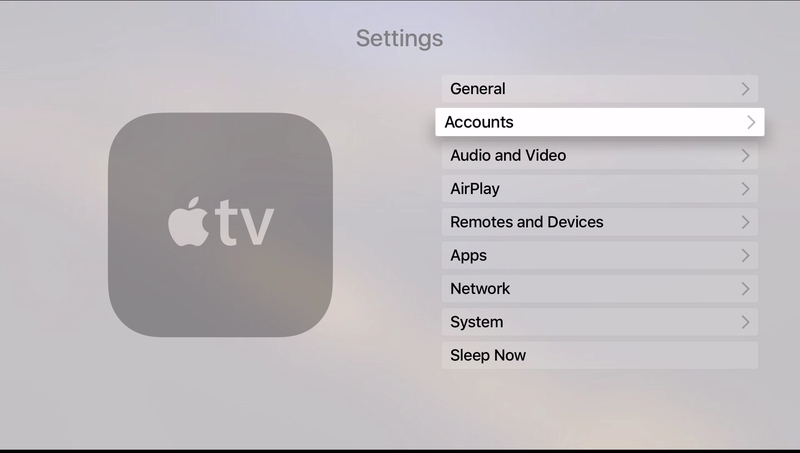 From your Apple TV home screen, click on Settings. Select your network connection, Ethernet if you are connected via cable or Wi-Fi if you are using a wireless network. For this tutorial, we have selected Wi-Fi but the steps should be similar if you select Ethernet. 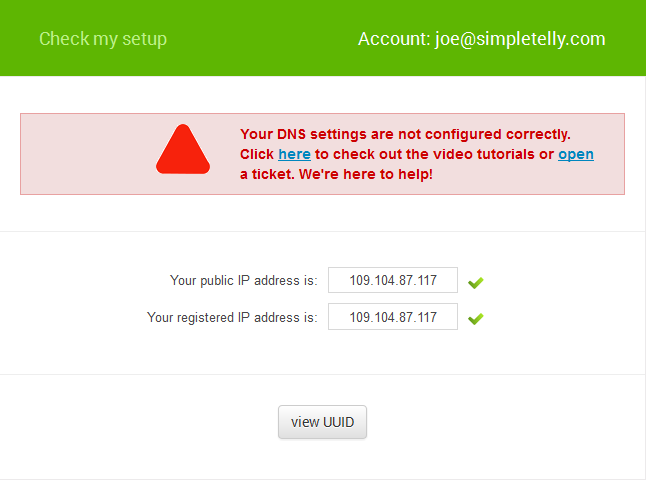 Leave every other settings as it is and just scroll down and click on Configure DNS. By default, this should be set to Automatic. Change this to Manual. 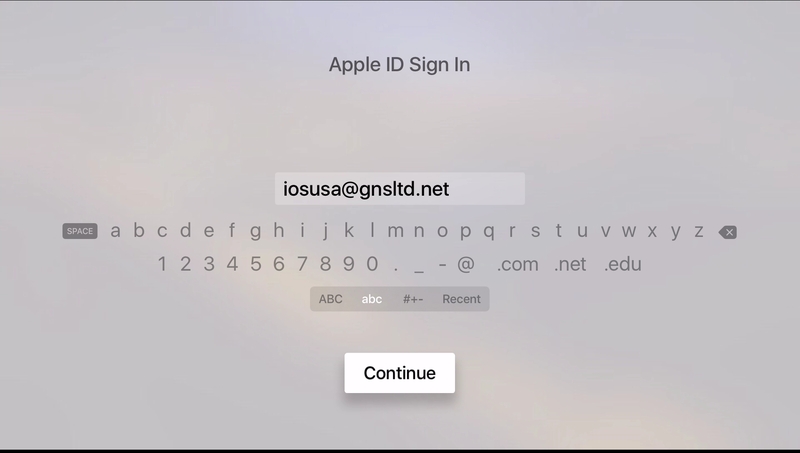 Since the Apple TV only allows one DNS entry, enter any one of the DNS server addresses that appeared on your browser earlier and click Done. 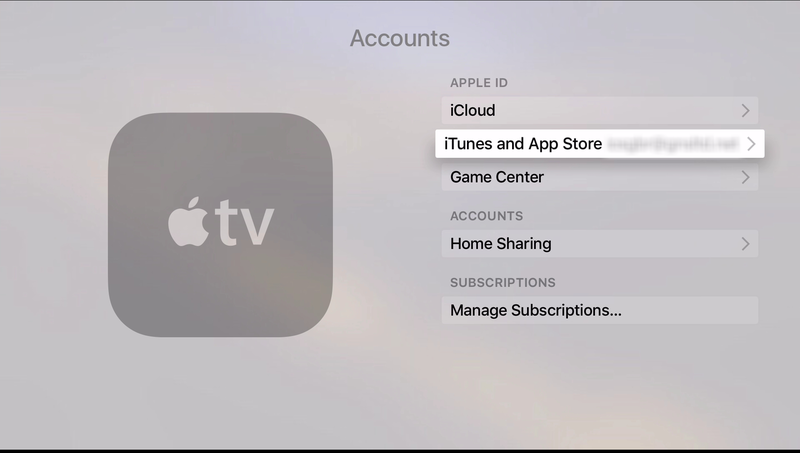 Once you have the details of the iTunes account that you wish to use, head to your Apple TV and from the Home menu, go to Settings and click on Accounts. 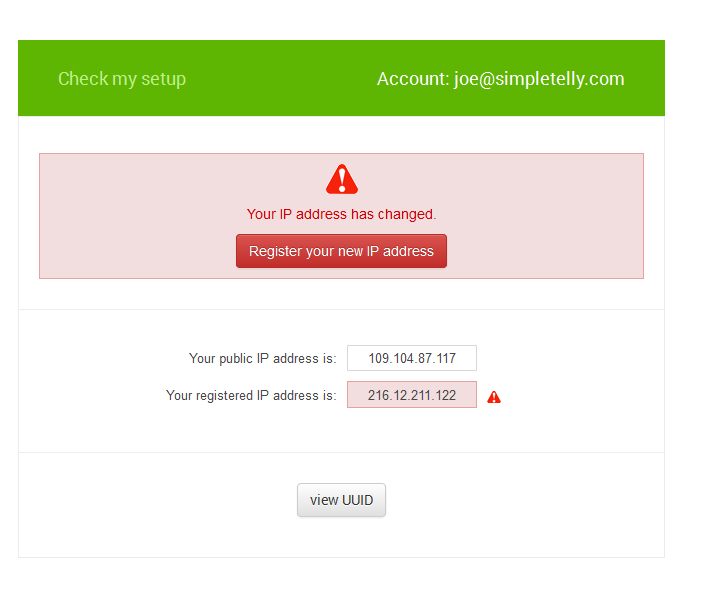 Now, sign in to the Apple ID that you wish to link to your device. 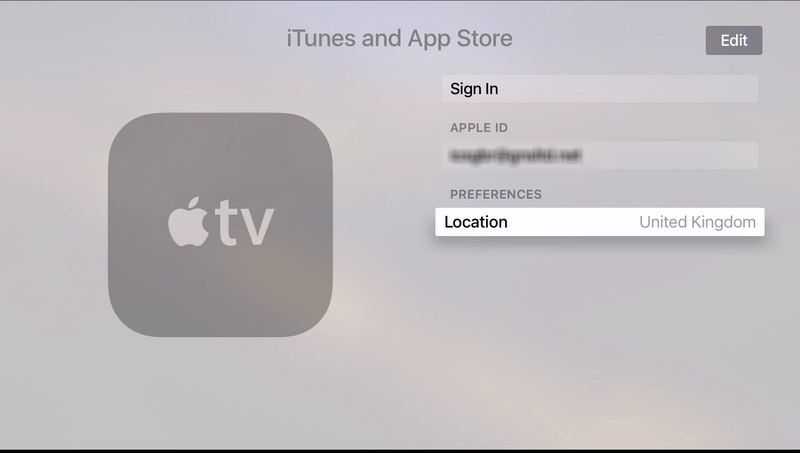 Your Apple TV AppStore will now switch to the region that you've set in the Apple ID that you've just logged in. 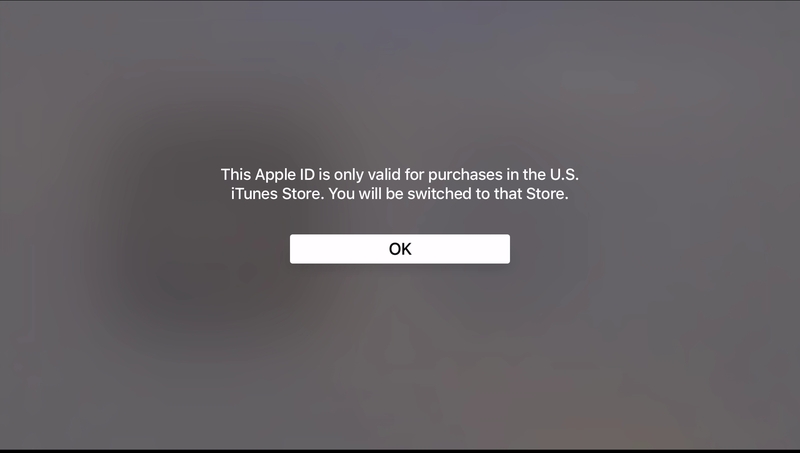 In this example, the AppStore account region is US and this automatically changes the AppleTV Location to United States as per screenshot below. Return to the main screen and if your IP is already registered and the DNS is set up correctly, you should be able to access the supported Media Apps and stream it like you mean it!.